Often in life we have sudden needs or wants pop up. Hopefully you will never have to use any of these options and you can be prepared for things like this. 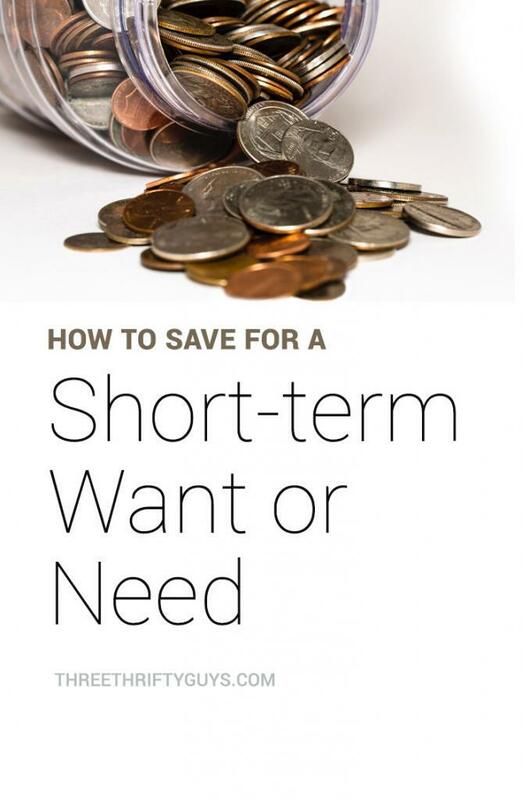 If you don’t have an emergency fund with 3 – 6 months worth of living expenses, then here is a process that will help you save quickly and with a “gazelle-like” passion (Dave Ramsey term). 8 If you have a little money left over at the end, then go celebrate! Have a specific dollar amount written down you are shooting for and this will be a helpful reminder. From a quarter at a gumball machine to a new pair of ski’s. This will hold yourself accountable and face you with the reality of what you are really spending your money on. Plus it will help you with step #3. After about 2 weeks of writing everything down write out a complete budget. Based on how you’ve been spending over the past week write out a monthly budget. See what income you expect to have coming in, what expense you have going out, see if you have a surplus (hopefully you do), and then look at each of your categories and figure out what areas you are willing to cut for achieving your goal. Coffee at Starbucks? Entertainment? Maybe make gifts for birthdays or Christmas. No golf membership? Trips to the spa? No eating out for a month? Hopefully this will show up with an even greater surplus. So you have your goal defined in step one. Take your goal divided by your weekly surplus. This will give you how many weeks it will take you to get to your goal. Say $1000 is your goal and you have a $50 weekly surplus. Your goal will take 20 weeks. This breaks it down into a doable goal that you can envision achieving and how long it will take. I find that if you save the money in cash around the house you are more likely to spend it. So put away for safe keeping. Once you’ve accomplished your goal then go pay for it in cash. There is always something about paying for a large purchase in cash that makes you think…“is this product worth all this cash?” In addition, you can often get deals by paying in cash, because the store doesn’t incur those 2-3% credit card fees. If you have a little money left over at the end, then go celebrate! My mom celebrates by going out to Dairy Queen and have a banana split…find your vice. Or go celebrate by treating yourself with what you had been negating yourself of for the past x number of weeks. Good luck and be sure you write down your goal. How do you save up quickly? Put a little money away every month and will always have a few dollars around for the short term items you want to purchase. Gotta love Ramsey! :-) He’s our hero. Actually, after watching your coupon video, I think you’re our hero! !